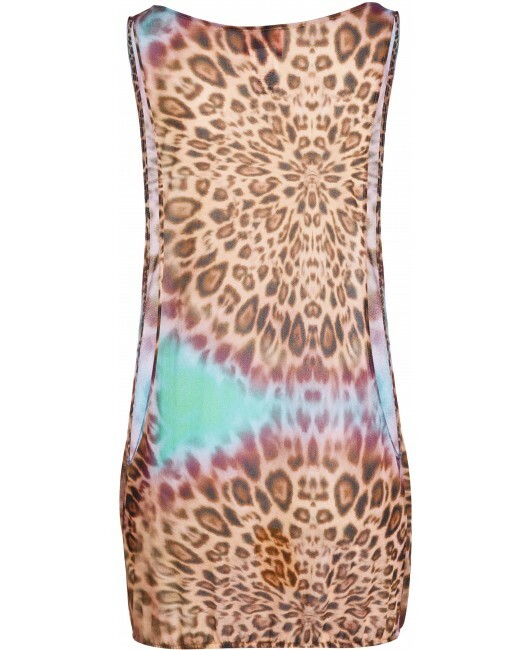 Eniqua Beach dress / top with open sides. Leo Print with turquise highlights. Perfect for covering up at the beach.